On Thursday night, Delivering Good, the charity of choice for new product donations made by companies in the fashion, home and children’s industries, held its annual gala at The American Museum of Natural History in New York City. This year, Delivering Good had several honorees including entrepreneur and television star Bethenny Frankel. Delivering Good honored her for their incredible partnership with her, which has raised over $750,000.00 in gift cards for people affected by recent natural disasters. When accepting her award, Frankel described what drove her to actively lead relief efforts for people in Texas, Florida, Mexico, Puerto Rico and other areas. During her speech, she urged guests to hold off on investing with people like Bernie Maddoff and instead use their investments for good causes such as Delivering Good. She believes giving back to those in need is more important than a personal investment and most importantly after the current natural disasters. Frankel also spoke in depth about her partnership with Delivering Good through her B Strong program. According to Lisa D. Gurwitch’s introduction about Frankel, President of Delivering Good, when Frankel posted on her social media handles to donate to their partnership, the Delivering Good website crashed with the amounts of donations being made by the public. 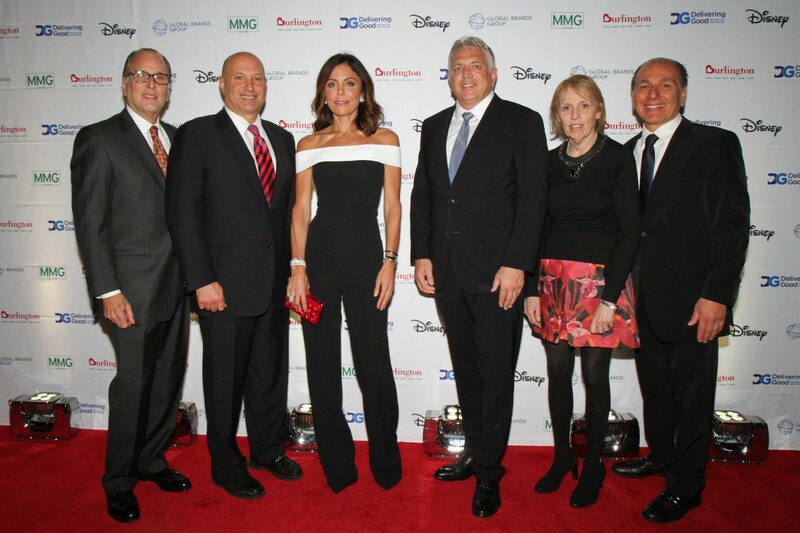 The gala also honored four members for their support and dedication to Delivering Good: Lissa Baum, EVP and Chief Lending Officer, Israel Discount Bank of New York; Allan Ellinger, Senior Managing Partner, MMG Advisors, and Chairman of Delivering Good; Brad D. Rose, Partner, Pryor Cashman; and Stephen Teglas, Senior Vice President, The Walt Disney Company. This year the gala had 725 attendees and they exceed their goal of $1.8 million dollars with additional donations trickling in. Special appearances via video came throughout the night from celebrities such as Dascha Polanco and Michael Strahan, who praised the work they have done with Delivering Good for families and their children. Other special guests included: Bravo’s Real Housewives of New York cast members Tinsely Motimer and Ramona Singer, TV Personality Tom Murro, Model Alana Zimmer, Fashion Photographer Sophie Elgort, Founder of Fashion Brand Boy Meets Girl Stacy Igel, Recording Artist Mr. Paradise, Fashion Influencer Christina Caradona, MUSE Models Dani Seitz, Victoria Brito, Heide Lindgren, Dinara Chetyrova, and Shena Moulton.